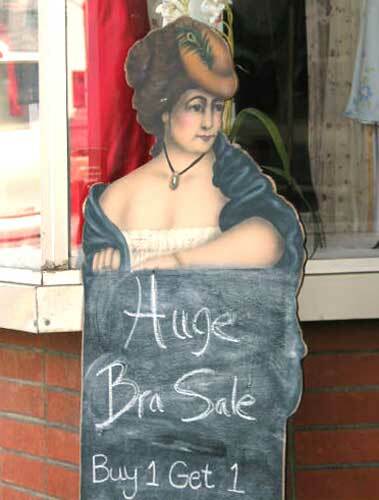 “Huge Bra Sale” Does that mean small ladies need not apply? “Buy 1 Get 1” Does that mean both? Fortunately I’m old and no longer “titillated” by feminine finery but I got a kick out of the sign. Spike’s recent blog also allowed me to feel comfortable with my late start. In fact, he didn’t even go! Just…“Laid out on the balcony in a wooly jumper with a beer and watched the wind”. It is important to kick back, now and then. There's a group on flickr for barmy signs.